Most people do not realise that there are numerous species of Bottlenose Dolphins; the exact number is a subject of strong debate and depending on the background of whom you ask will strongly influence the number they give. For example, a conservationist, a geneticist and a taxonomist are unlikely to agree on such matters. However, there are at least three species formally recognised by everybody, each with their own behavioural and physical characteristics. Of the three recognised species Tursiops truncatus, known as the Common Bottlenose Dolphin, is the species that most people are familiar with. This is owing to it’s near global distribution (it is found in every sea except those in the polar regions), its prevalence in popular culture – be it films or TV and of course its popularity in aquariums during the latter half of the 20th century. The second of the three species, Tursiops aduncus, is more often referred to as the Indo-Pacific Bottlenose Dolphin and as its name suggests is found in the Indian and Pacific Oceans only. Whereas T. truncatus is found in both coastal and offshore environments T. aduncus is principally only found in coastal waters. The third species, Tursiops australis, known as the Burrunan Dolphin is found only in coastal waters of parts of Australia. One of the most controversial topics in in the field of biology is the subject of what defines a species. Certainly in most high schools, pupils are taught that animals belong to the same species if they can reproduce and form fertile offspring. This is undoubtedly complete fallacy and a recent topic of research that I have been involved in significantly proves this. This research, led by Dr. Tess Gridley of the University of Cape Town, has just been published and I provided the genetics elements included in the paper. The research focuses on the production of fertile hybrids by two species of Bottlenose Dolphin when kept together in captivity. Hybrids are the offspring of two different species – famous examples include the Liger (the offspring of a Lion and Tiger) and Zorse (yes you guessed it, the offspring of a Zebra and a Horse). Hybrid animals are remarkably common. Here we see a Liger (Lion and Tiger hybrid) on the left and a Zorse (Zebra and Horse hybrid) on the right. First of all, let’s deal with the elephant in the room. Yes, this research is based on dolphins kept in captivity. Let me be absolutely clear that I am in no way an advocate for keeping any species of cetacean in captivity. When the individual dolphins on which this research focusses were taken into captivity it was the 1970s, at which time our understanding of cetacean biology, in particular their emotional intelligence, was significantly inferior to our understanding today. Like all areas of knowledge, our understanding progresses through time and moral humans adapt their behaviour and actions to take account of this improved understanding. Flipping this on its head, we should be reticent to judge people who made decisions in the past with which we would normally condemn when judging by todays understanding, morality and societal will. Times and understanding were different then and as long as we are willing to, pragmatically and sensibly, adapt our actions today to take account of our improved understanding then we should look forward and not back. No, we should not be taking new cetaceans into captivity but those that currently are kept in aquaria, like those in this study, provide an opportunity to expand our knowledge of cetaceans such that we can continue to improve our decision making in the future; thus, having greater benefit for the conservation of wild cetaceans. Our research focussed on two dolphins and their offspring. The first, a male Tursiops truncatus by the name of Gambit, and the second a female Tursiops aduncus by the name of Frodo. As well as physical characteristics (Frodo has speckling on her underside, a feature common in older Tursiops aduncus), we confirmed their species identity genetically. This is done using DNA extracted from blood taken from routine veterinary check-ups. The principal finding of this study revealed that hybrid and backcross offspring were fertile – proven by a second generation in both cases. One of the apparently fertile backcross offspring featured in this research. The underside of Frodo, showing her belly speckling that is a common feature in mature Tursiops aduncus individuals. This finding is important for two reasons. Firstly, it adds further weight to current scientific thoughts on evolution as a process. We like to think that evolution is a linear process and that once a new species is formed it is permanent until such time that it may go extinct due to some natural disaster or change in environment. We know, however, that this is not the case at all. There are a number of emerging examples that show species emerged in the past, likely as a result of physical separation, but then disappeared again when the physical barrier was removed because they simply merged and interbred with their parent species. A great example of this comes in the form of the Common Raven. We also know that reticulation, or the interbreeding of species during speciation is common and demonstrating the production of fertile hybrid offspring in this study provides a mechanism for this to happen. Perhaps more importantly, however, this study demonstrates the potential resilience of Bottlenose Dolphins to adapt to changing environments. By producing fertile offspring, the success of gene flow events between different species of Bottlenose Dolphin may allow them to adapt to a more coastal or more pelagic way of life more readily should the need arise. We should take encouragement in this new understanding; although life in our oceans is currently under a great many threats it is likely that, thanks to the plasticity of evolution, the famous smile of a Bottlenose Dolphin will continue to greet us for many generations to come. This research is published in PLoS ONE, Sepember 2018. You can download a copy of the paper here. Gridley, T., Elwen, S.H., Harris, G., Moore, D.M., Hoelzel, A.R. and Lampen, F., 2018. Hybridization in bottlenose dolphins—A case study of Tursiops aduncus× T. truncatus hybrids and successful backcross hybridization events. PloS one, 13(9), p.e0201722. You could fill libraries with books that focus solely on our oceans and the life within them – indeed I have visited such libraries. But whether you are studying marine biology or just have a keen interest which books should you read that are both pleasurable and informative? Below, I’ve tried to pick out some of my favourite books (in no particular order) that I have read over the years to get you started. Links to all books on Amazon can be found below the images. This is not an exhaustive list so if you think I have missed any great marine biology reads then please comment at the bottom of the page. Happy reading! A slightly unusual book in this list but one which I have included because of its incredible scientific clarity. Prof. Braithwaite takes us through her own research on pain reception in fish by clearly describing her own experimental work. In doing so she not only sets out a clear standard by which all other science should measure itself but tackles a contentious issue that has serious moral implications. Do fish feel pain? Read this and judge for yourself. This book was my first set reading when I started my Marine Biology undergraduate degree and what a perfect choice by my lecturers. So well written that I read it in a single sitting. Within this book Robert Kunzig explores what we think we know about our oceans and then takes us on a rollercoaster journey through the history of ocean exploration. A great text to set the scene for a career in marine science. Part memoir and part reference this book explores shark behaviour through the eyes of Dr Peter Klimley in a truly fascinating but highly entertaing fashion. With hilarious anecdotes taken from his own postgraduate days to his later research this book makes a complex subject (animal behaviour) easily accesible for the lay reader. If you love sharks then this book is certainly one for you. Another examination of our fishing industry and its future. Not quite as eloquent as ‘The Unnatural History of the Sea’ and a little more doomsday but a good read nevertheless. For anyone that has marvelled at their myriad of forms on a seashore or admired their beauty as an item of jewellery. Spirals in time examines the history of human interaction with seashells as well as the fascinating creatures that make them. A wonderfully written book that is sure to be enjoyed. Another oddity in this list but one that I hope you will agree is deservedly here. Within its pages Prof. Stow lays bare the transitions and events that shaped a now all but forgotton ocean – Tethys. This ocean had a profound impact on the world we inhabit today as well as much of the life we see in the oceans. A fascinating reminder that the marine realm we study and enjoy is forever changing. Beyond its tongue in cheek title this book delves deep into the surprising reproductive habits of marine creatures. By subtely weaving in deeper lessons on overfishing, climate change and pollution this entertaining read is a great force for good in the marine biologists library. Enjoy and try not to blush! This haunting read will likely leave you feeling ashamed of our past and fearful for the future. Richard Ellis examines our exploitation of the oceans one charismatic animal at a time. Beautifully written and illustrated with the author’s own drawings this book is a wake up call for those of us who thought our impact on the seas was minimal. Another fishing book in the list but this time examining only a single species – Cod. Cod is a riveting read and considerably eye-opening. From battles at sea to political muscle flexing this fish has had quite an impact on our civilization. Prepare for your Friday night ‘fish and chips’ to never be quite the same again. In a wonderful narrative that both entertains and informs Neptune’s Ark charts out the evolution of charismatic marine species along the West coast of North America. Intertwined with stories of the humans who discovered or studied them, this book feels a bit like an adventure in itself. Prof. Safina is known for his excellent writing and this book doesn’t disappoint. By introducing the scientists who study the Leatherback Turtle in the Pacific we learn about this magnificent but elusive animal in a fascinating and entertaining manner. Charting a lifetime of work studying the marine life of Ireland’s sea loughs, this book is full of hilarious anecdotes and fascinating creatures. An account of true passion for a subject that is sure to ring bells in any marine biologist. This is a truly wonderful book and is highly recommended. Who has not visited an aquarium and wondered just how they put together such magnificent displays? In this memoir, looking back over a lifetime of work including as curator of the Monterey Bay Aquarium, David Powell entertains us with stories of fish on planes, handling White Sharks and much else. This very well researched book that almost feels like travel writing as we follow the author around the Arctic meeting different people whom interact with Narwhals. With subtle warnings of the dangers of a rapidly changing world this book is both fascinating and meaningful. In a truly well rounded approach, Prof. Ulanski introduces us to the amazing world of billfishes with delightful insight. A tale told from many perspectives, the book is convincing in its argument that billfish have a unique significance in human culture. Another memoir but this time by one of the worlds most accomplished coral reef scientists. This one makes the list for its important messages on academia and the need for scientists to have intellectual freedom. Full of entertaining anecdotes and incredible information that could only come from a lifetime of study. People often forget that many birds fall under the remit of a Marine Biologist but this book reminds you with vigour. In examination of seabirds from across the globe the author highlights their growing plight and their staggering fall in numbers. Beautifully written and full of warning for our future. Oceanography affects every aspect of marine biology but is so often loathed by marine biology undergraduate students so I’ve included Flotsametrics in this list. This book entertainingly explains our understanding of oceanography in an easy to understand manner through Dr Ebbesmeyer’s study of rubber ducks and other floating debris. Not technically a marine biology book but I’ve included this on the list for a very good reason. I’ve never read such a good description of the concept of ‘shifting baselines’ as Feral and I think it holds important messages for those of us working in marine conservation – should we be working to preserve the oceans in their current state or should we be aiming for something just a bit bolder? As I said at the beginning this is not an exhaustive list and there are many other great books out there, including some classics and others by authors already on the list, that I have purposefully left out. However, if you think there is a key read missing from this list then please do get in touch and let me know. Now to find a cup of tea, a nice quiet spot to sit and my next book…. *i.e. things I wish I had known when I started my BSc. With Freshers’ Week a fading memory and those exciting first lectures, practicals and field trips afoot; we thought we’d pull together 10 hot tips that we wish we’d known when we started our marine biology degrees (back in the noughties). Over the course of your degree, you will hear how competitive marine biology is as a career about a million times. I won’t sugarcoat it, it is. Out of our year groups (we graduated in 2010 and 2012 respectively), less than 5% of our peers are now working (paid) in the marine sector. So, we thought we’d share a few things we’ve learnt along the way to help you make the most of your time at uni and walk into a job/PhD on the other side. In your first lecture, look around. Count how many people are doing your course. In 3 years time, you will be competing not only against them, but against the thousands of other graduates clutching their BSc Marine Biology. To succeed, you need more than just your degree. The good news is, you’ll have a lot of free time over the next 3 years. Compared to A Levels, first year is a doddle. Some of this free time will be taken up with important tasks like napping, learning how to use a washing machine and trying all the different flavours of Supernoodles. But, you’ll still have time in spades. Here’s how to use it well and ultimately live those dreams. If you want to become a scientist (i.e. pursue a PhD and work in research), get involved with the research going on at your university. PhD students, Postdocs and even research staff always have tasks that they need willing help with. One word of advice, if you commit to something, make sure you turn up – if there’s one surefire way to blacklist yourself, it’s saying you’ll help with sampling and then cancelling last minute or not turning up at all. Valid excuses include: real illness (hangovers don’t count), real unavoidable appointments (dentist – yes, rugby social – no) or death. You’ll hear this a lot. Volunteering gives you real-world experience, as well as adding credibility to your CV and getting your name known for the right reasons. It also shows you have real passion for what you study – and in the conservation sector in particular, that can go a long way. Remember, volunteering often opens the door to a job – so if there’s an organisation you want to work for after graduation, look into volunteering for them whilst you have your student loan behind you. (Volunteering is much more difficult when you have bills to pay and no income.) Word of warning, turning up twice/late/sporadically and then applying for a job/asking for a reference probably won’t end well. A note on paying to volunteer. There are many organisations, most in exciting, exotic places, that will charge you a small fortune to “volunteer” or join “research expeditions”. Be wary – these are undoubtedly amazing experiences, but they won’t add much weight to your CV. Not dive, drive. The vast majority of jobs in the environment sector require a driving licence. I avoided the driving seat until I was 22 and a job I wanted required a licence; so I pulled my finger out and ended up passing my driving test 4 days after the interview (okay, a bit of bluffing may have occurred). Fitting my theory test and driving test around my job was a pain and I wished I’d done it at uni when time/student loan was plentiful. Disclaimer: you don’t have to be able to dive to be a marine biologist. Lots of marine professionals never dive. 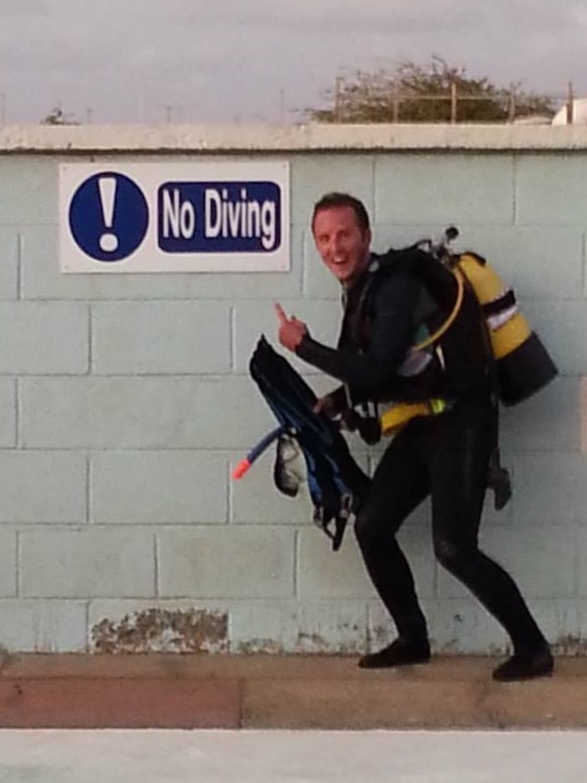 But, if you are able to learn to dive, do! Diving allows you to experience your new world of study for yourself. Yes, you can read books, dissect fish and chuck quadrats at rocky shores, but diving let’s you immerse yourself in marine biology. Literally. Most universities have a Sub-Aqua Club (SAC); if yours doesn’t, your local town will. 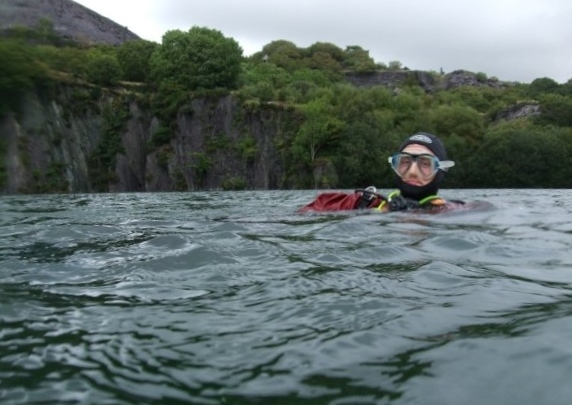 This is the cheapest and most thorough way to learn to dive – though brace yourself, UK seas are a tad nippy come wintertime. – Take travel sickness tablets 2 hours beforehand. Getting out on boats also helps you to understand boat processes – casting off, harbour rules, ropes and fenders, etc. The more you’re out, the more you pick up – though if your career aspirations include boat sampling, a boat handling course would be a good investment, e.g. RYA Powerboat Level 2. Me in my voluntary role as North Wales Regional Coordinator for Sea Watch Foundation, running boat surveys for bottlenose dolphins. Spend as much time as possible in/on/under the sea Go rockpooling, go crabbing, watch how the birdlife changes with the seasons, go porpoise spotting, go snorkelling. It all adds to your understanding of how the sea really works – and you never know what you might spot or discover. Spending a sunny afternoon rockpooling is one of my favourite things to do – and a great way to observe marine life. Don’t underestimate the importance of oceanography, ocean chemistry and all that other “boring stuff”. I started my degree with the sole desire to learn about marine mammals. And when my first few lectures were more about ocean circulation than whales, I wondered what I had got myself in for. Stick with it – you need to understand the system as a whole in order to properly understand your species. Daniel’s PhD looks at dolphins – but he uses oceanographic data to understand the frontal systems that affect the dolphins. It’s a necessary part of the puzzle (promise). All that being said, there’s only 24 hours in a day and you’ll (hopefully) only do your first year once. Be strategic in what you sign up for and if you don’t like it, then walk away and try something else. University is as much about finding out what you like and what you want to do as it is about studying textbooks and learning new skills. My career aspirations changed about a million times during my BSc; and they were only honed by trying a load of things, most of which turned out to not be right for me. Most importantly, university is probably the most fun you’ll ever have – so make sure you keep some time free for all of the random craziness that awaits (foam parties, staying up for sunrises, ski trips, summer balls and pretty much everything and anything in between). I’m Emily, a marine biology graduate working in marine conservation. I have been consistently employed since I graduated (4 days after my graduation, to be precise) 5 years ago and have experienced some incredible things: biopsy sampling bottlenose dolphins in Sicily, monitoring nesting sea turtles on Ascension Island, meeting with Ministers to advocate for more MPAs, being interviewed on BBC Breakfast about UK marine life, writing for national magazines, talking about dolphins to over a million people on national radio and collecting genetic samples from fish markets (and supermarket fish counters!). I didn’t have any connections in the marine world when I started my degree. I just worked hard, volunteered a lot and got involved with pretty much everything going. That’s all there is to it. I make up half of Marine Biology Life alongside Daniel, my partner and a PhD student researching genetics of marine predators. We’re on Facebook, Twitter and Instagram. We share our adventures, escapades and mishaps – as well as lots of photos of marine life, marine news and good opportunities. If you have any questions or would like some advice from a pair who have been there and had the hangover, drop us a comment. Best of luck with your marine biology degree. ENJOY!!!!! When something finally happens that you have been thinking and dreaming about for a very long time there is often a sense of surrealism, like it’s not really happening and only a more lurid and tangible extension of those dreams which you have been having for so long. This is certainly true for where I find myself currently – in the tranquil Sicilian town of Torretta Granitola and hosted by scientists at IAMC-CNR having brokered a collaboration between this institution and Durham University. Since the very earliest days of my PhD research it was clear that there was a gaping hole in the geographic spread of the samples of Tursiops truncatus, or Bottlenose Dolphin, to which I had access. This might have been overlooked were it not for that hole to be sat squarely over a region that was of fundamental interest to my research question – how do environmental boundaries influence population structure of marine vertebrates. The Siculo-Tunisian channel, on which Torretta Granitola stands on the northern edge, is just such a boundary and the principle one around which my PhD was formed. To the East lies the warm, salty and deep water of the East Mediterranean Basin, to the West: the generally shallower Western Mediterranean Basin with its cooler waters influenced by the Atlantic. Research conducted by Dr Ada Natoli showed that there was a distinct genetic difference between Bottlenose Dolphins found in the Western Mediterranean Basin and those from the Eastern Mediterranean Basin and that the Siculo-Tunisian channel was the geographic region in the middle of these two groups. Could it be that the different environmental conditions found in the two basins has led to the discovered genetic differentiation? To understand this more clearly, I need tissue samples from dolphins found in this region. With these we can conduct genetic analysis to see if the population split between the EMB and WMB is abrupt, i.e. the dolphins found here fall easily into one group or the other, or if in fact the dolphins here represent a more transitional grouping with geneflow in either direction or potentially even both. To do this requires biopsy sampling which can be done in a number of ways; rifle, scrubber, crossbow or even with a pole. After much research, reading and speaking to other scientists I decided to go with the use of a crossbow for a number of reasons. My principle reason was that many fellow scientists suggested that using a crossbow provided a higher sample return rate (particularly compared to a pole or scrubber) and this was important to me as I didn’t want to subject the animals to any more interaction was absolutely necessary. For me it would be quite tragic to cause any stress to wild animals, no matter how little, and yet come away with no samples to support the science that will eventually help to protect the animals themselves. Secondly, it is far easier to transport the crossbow and associated biopsy equipment across international borders than other methods such as a biopsy rifle. Thirdly the crossbow is an order of magnitude less expensive than a rifle. So how does the crossbow work? The crossbow itself is a standard sports crossbow with a 150lb draw weight. This is the standard power used for biopsy sampling marine mammals. It must be strong enough to penetrate the skin of the animal and for the molded polyethylene flotation to cause the bolt to bounce back from the animal but not powerful enough for the bolt to injure the animal beyond required. The bolt itself is a specially designed item from a company based in Denmark called Ceta-Dart. It is an aluminium-carbon fiber shaft with three vanes and a molded polyethylene flotation. On the front is a threaded bar onto which you attach the cutting tip. The tips are 25mm deep, with an internal diameter of 7mm, and contain three backward facing barbs that hold onto the sample once taken. The bolt will float in the water after striking the animal and can be easily retrieved with a landing net. I’ll talk about the processing of samples in a future post. Crossbow and specialist bolts used for taking biopsy samples from cetaceans. The biopsy tip showing the cutting edge and internal barbs. With animal safety and welfare being of highest priority for me it was essential that I was accompanied by an experienced cetacean biopsy sampler. For this we flew in Tilen Genov, an extremely experienced biopsy sampler from Slovenia. Tilen is the President of the Slovenian Marine Mammal Society – Morigenos and I urge you to check out the amazing scientific research that this organisation does. Tilen provided us an opportunity to shadow him during the first week of the expedition as well as providing lectures and practical training on biopsy sampling. One of the main issues to consider when conducting biopsy sampling is to be very aware of potential dangers to calves. Our basic rule is to never target mothers with calves or groups that contain calves. The main reason for this is due to the surfacing pattern of bottlenose dolphin calves, they typically come to the surface on the flank of the accompanying adult – putting their head firmly in the firing line. The last thing we would want to do is harm a calf so it is best to simply avoid the possibility altogether. In addition we never want to sample an individual animal more than once, not only as such samples would be superfluous but also to limit stress to an individual, so we run concurrent Photo-ID allowing us to keep track of who has already been sampled and identify potential target animals. The sky grew lighter. The wind, although warm, sent a shiver of chill right through me. Or was it the excitement? As my hands clutched the rusty metal hand rails I steadied myself as the ship rolled over to port in its steady and rhythmic movement. It was 6.45am and I had risen early to catch the sunrise as we ploughed through the waves on our course through the Atlantic, currently several hundred miles off Sierra Leone. The few clouds in the sky caught fire as the sun crawled upwards beyond the horizon. I have seen sunrises at sea before but nothing like the offerings of the tropical Atlantic. From the pastel chalks of predawn to the bold colour palette of a surrealist painter found in the few seconds before sunrise, sunrises here had it all. And the best bit? I still had another two weeks’ worth of sunrises to go. I have recently returned from a long voyage at sea. I boarded the Akademik Tryoshnikov, a Russian icebreaker, in Bremerhaven Germany and stepped off in Cape Town South Africa. My reason for doing so was to take part in a Maritime University taking place during Leg zero of the Swiss Polar Institutes Antarctic Circumpolar Expedition (ACE). This University course, under the auspices of the Russian Geographical Society, taught oceanography and ocean sampling techniques to 49 students from 14 different nationalities and to say it was the trip of a lifetime was an understatement. The course was excellent, covering a huge and varied curriculum from CTD deployment to atmospheric circulation, from Antarctic winds to ocean gliders. It was run and taught, most amazingly, by three conveners whom all did a fabulous job. Equally as intellectually stimulating as the course however was the interactions with my fellow students. Coming from diverse academic backgrounds and from all over the world I learnt so much from our discussion over meals, our lively scheduled debates or the daily student lectures. What’s more than this I also gained 49 friends. Daniel recently participated in the Antarctic Circumpolar Expedition (ACE). Observing wildlife is a key passion for Daniel, such as these Rough-Toothed Dolphins spotted on a research expedition in the mid-Atlantic. Sampling for microplastics with Bongo-nets. We’ve all been there. Packing to go away, often on holiday, and realising that the list of things you need already far exceeds your precious luggage allowance, let alone the capacity of the bags themselves. Normally this stressful experience is diffused by a cup of tea and the descending logic that your destination is (usually) a warm climate and if pushed you could survive with just a pair of shorts, a t-shirt, some flip flops and your bank card. However, when your destination is not a fixed geographical point but a journey, by an unusual mode of transport and with some interesting activities along the way even a cup of tea seems to do little to help. Still, it is a good excuse to drink plenty of tea. Next week I will be departing for Germany to join the research vessel Akademik Treshnikov for a journey down to South Africa. I will be making this journey as part of the Antarctic Circumnavigation Expedition (ACE) created by the Swiss Polar Institute with the support of Ferring Pharmaceuticals. 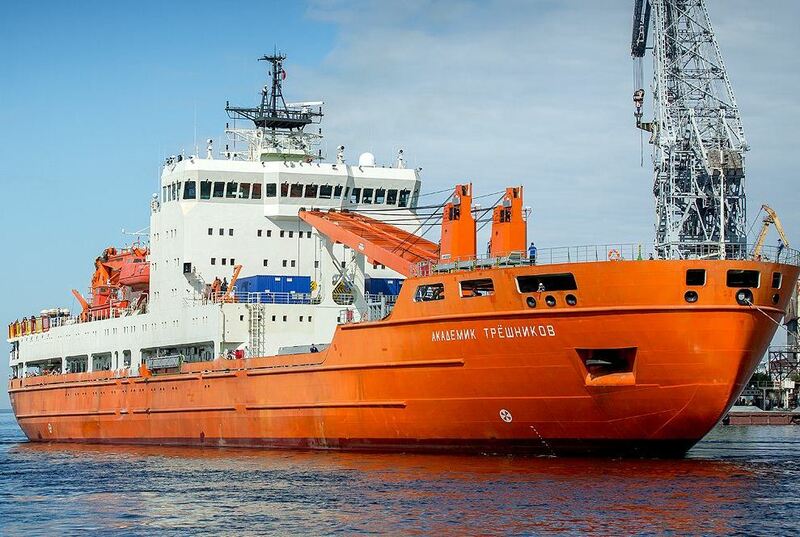 Whilst the Akademik Treshnikov will go on to make an exciting three leg journey around Antarctica, I will only be joining the ship as far as South Africa. My reason for doing so is to be a part of the ACE Maritime University which is organized under the auspices of the Russian Geographic Society in order to broaden the scope of ACE and inspire a new generation of scientists. The ACE Maritime University will host 50 postgraduate students from 10 different countries. Whilst onboard we will be following a fairly intensive schedule of lectures, workshops and practical training in many aspects of oceanography. With access to state of the art equipment and scientists who are leaders in their field I’m sure that the Maritime University will not only be an experience of a lifetime but incredibly educational and inspiring too. One aspect of the trip that I’m particularly looking forward to is meeting all the other people onboard. I believe that having such a diverse group of people can only be a good thing; I’m sure I will learn so much about the world and make some friends for life. A second aspect I am especially looking forward to, albeit slightly nervously, is the Equator crossing ceremony. This is something I have always wanted to experience and I’m sure it will be good fun. Most of all though I am looking forward to learning. With such a diverse and broad range of subjects planned to be covered in the Maritime University programme I’m sure it will be brilliant. So how is my packing actually going? So to explain this let me first outline that I have only two bags – a 25 litre daysack and a 90 litre expedition duffel bag (oh and only a standard 23kg baggage allowance for my flights). 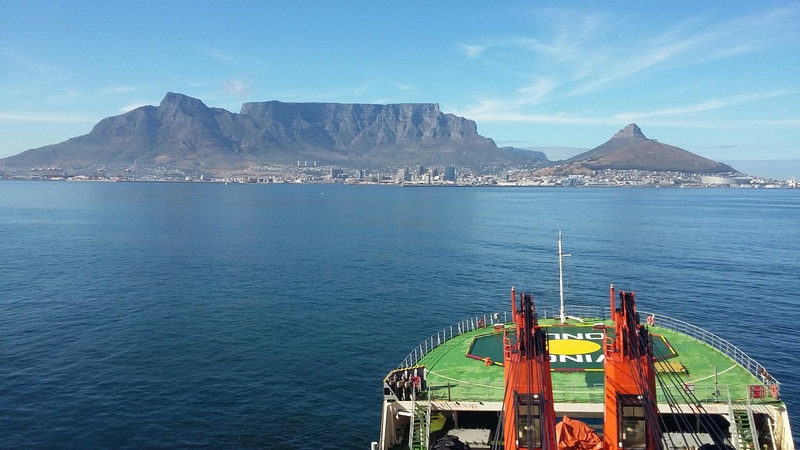 Being part of the ACE Maritime University will involve travelling from the depths of European winter (read: I will need plenty of warm clothing) to the height of South African summer (read: I will need warm weather clothing). Our activities will be considerably varied too; from a reception hosted by the Swiss Ambassador in Germany (read: smart outfit required) to deckwork whilst at sea (read: wet weather gear and safety equipment needed) it suffices to say that if anybody has Mary Poppin’s handbag or Doctor Who’s Tardis going spare I would be most grateful. Please follow my twitter feed to stay up to date with my experience of the ACE Maritime University. The Akademik Treshnikov, a Russian icebreaker that will host us for the ACE Maritime University and our journey down to South Africa. I recently had the opportunity to contribute to an online Ecophiles article about contributing to shark conservation for Shark Awareness Day ( 14th July!). This was an exciting and engaging piece put together by Melissa Hobson of Ecophiles. “According to shark and marine conservation charity Bite Back, sharks have been around since before dinosaur-times. There are around 390 species of sharks in the world with 31 different types of shark living in British waters. Most sharks have five rows of teeth and can have up to 3,000 teeth! Not surprising they’re the ocean’s top predator. Yet, unlike the shark’s portrayal in the film The Shallows where Blake Lively is surfing on a secluded beach and finds herself on the feeding ground of a great white shark, shark attacks on humans are incredibly rare. To read the full article please follow the link by clicking the image below. I’m lucky and I know it. I’m lucky because my PhD studies are funded by the Natural Environment Research Council (NERC) through one of their Doctoral Training Partnerships or DTP’s (in my case IAPETUS – www.iapetus.ac.uk). Being part of the IAPETUS DTP has many advantages. First and foremost is the supported feeling provided by being part of a cohort. In each funding year IAPETUS supports around 15 PhD students and these have all become firm friends. My IAPETUS cohort is split over the five partner institutions – Durham University, Newcastle University, St Andrews University, Glasgow University and Stirling University – and all studying in a range of scientific disciplines from oceanography to geology to glaciology to ecology and archaeology. The great positive of being brought together from such a wide range of backgrounds is that it is almost hard to talk in detail about our specific projects together, something that is often covered by laboratory colleagues. Instead we talk about the generalities of being a PhD student – of the struggle with samples, of frustrations with departments and maintaining a balance with regular life outside the PhD. Above all this creates a reassuring feeling of not being alone. Because of IAPETUS, I realise that no matter what discipline a PhD student is working in we all go through similar trials, frustrations and successes. The second great advantage of being part of IAPETUS is the training opportunities it provides. From an induction day during November to a week at the Scottish Centre for Ecology and the Natural Environment (SCENE – http://www.gla.ac.uk/researchinstitutes/bahcm/researchfacilities/scene/about/) in cold January, training opportunities are plenty. These events have so far provided training in mathematical modelling, GIS, field sampling, experimental design, paper writing and presentation skills. Additionally, it is a NERC requirement that we have a student conference/meeting once a year and this year we held the annual event in Majorca, Spain. This event was great and allowed for the best scientific poster session I have ever attended – see the photo if you don’t believe me! For the main part of our conference we were very kindly hosted by IMEDEA (Mediterranean Institute for Advanced Studies) and it was great to hear about some of the environmental research being conducted locally. From a personal PhD point of view, being on Majorca allowed me to visit Dr Joan Moranta at the Oceanographic Centre for the Balearic Islands to discuss barracuda sampling. I am very grateful to his support for my project. In summary I am lucky and I know it. I am lucky to be part of IAPETUS and I would encourage anyone thinking of applying for a PhD to aim for becoming part of a DTP – you won’t regret it! One of the great things about studying for a PhD is the opportunities it presents for meeting new people, being exposed to new ideas and learning new things. Sometimes this arises in a more formal setting such as during seminar, conference presentation or training workshop but equally as often it occurs by chance meetings or discussions over coffee. It’s often said that most real science is conducted in the pub! Over the past few weeks I have had many of these opportunities. On the 15th of March, I and a few of my lab colleagues travelled to Cambridge University for the Evolutionary Genetics and Genomics Symposium (EGGS). This symposium was sponsored by the Genetics Society and provides an opportunity for researchers to share ideas and present their work. As a group we had decided that we would travel to the symposium and back in a single day – which made for a very early start and a late finish! The symposium program had 15 talks scheduled through the day. The talks covered a range of topics from the evolution of viral resistance in rabbits (‘The rabbit strikes back: myxomatosis and the evolution of viral resistance’ – Joel Alves, University of Cambridge) to understanding the development of genitalia in Drosophila (‘Genetic and developmental basis of male genitalia evolution in Drosophila’ – Maria Daniela Santos Nunes, Oxford Brookes University). Sometimes it is easy to look at a conference/symposium program and all too readily dismiss talks as ‘not relevant’ or ‘unrelated’ to your own research. Sometimes this is indeed the case, but no matter what the topic of the talk there is something you can learn – from presentation skills, slide composition to even how not to do something! Overall the day was a success, we heard some great talks, had chance to see some of the beautiful college buildings of Cambridge University and met some lovely people. We also looked around the fascinating collections of the Sedgewick Museum of Earth Sciences, a truly great institution – if you get a chance to go then really do! Thanks to the Genetics Society for sponsoring the symposium. In addition to these events I have also attended guest lectures both in my department and in my college at Durham. These can be especially varied. Early last month I attended two extremely dichotomous lectures on the same day, one on the effects of light pollution on wildlife and one on making medieval nautical charts! I love these opportunities for learning and it is one of my favourite aspects of my PhD so far. However, we mustn’t forget just how much I have learned from my colleagues. From lunch time chats to laboratory meetings I have probably learnt most from them, to the point I would say I couldn’t do my PhD without the support and knowledge of all the people around me on a day to day basis. A strong research group/team is invaluable and that is a lesson that I will remember forever. Social learning with the University College Sunday Seminar series.